​Crystal Palace goalkeeper Vicente Guaita has alleviated worries that he is set for a transfer away from south London. The Spaniard recently replaced Wayne Hennessey between the sticks for Roy Hodgson's team and has collected five clean sheets in 11 league appearances this season. Despite this strong showing in goal, it had been rumoured that Guaita was feeling homesick after joining from La Liga outfit Getafe in the summer and was looking for a move back to Spain. But the 32-year-old addressed the speculation in a post on ​Twitter that left fans with little doubt over his commitment to the ​Premier League club. "My family is Eagle," the Tweet read. "Let's go for the derby. We love this club and this team!" The statement clearly demonstrates Guaita's intention to remain at ​Palace and continue his excellent run of form. It will be extremely pleasing news to the Selhurst Park faithful who have witnessed an upturn in their side's results that has coincided with the Spaniard being brought in for Hennessey. He went on to emphasise how much he is enjoying life in England: "Very happy to be here. I am very happy to be here!" He has made the number one jersey his own, becoming a pivotal player for Hodgson. Sharp reflexes and a commanding presence in the box have shored up the former England boss' defence, helping Palace to climb away from the relegation places. The Eagles have picked up ten points from their last five league matches and also have an FA Cup quarter-final away at ​Watford next week to look forward to. 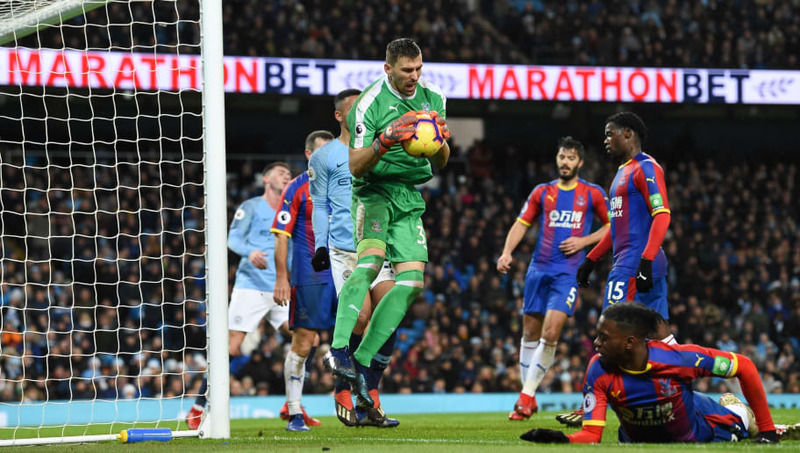 Guaita will hope to maintain his recent fine form as he and his teammates look to secure Premier League survival as well as a semi-final spot at Wembley.